President Joko “Jokowi” Widodo inaugurated on Tuesday the long-awaited Raknamo Dam in Raknamo village, Kupang regency, East Nusa Tenggara (NTT). “We express our gratitude to President Jokowi for building this large dam for us, the people of NTT. This dam is truly a gift to us,” Raknamo village chief Augusto Fernandes told The Jakarta Post on Tuesday. The President and First Lady Iriana started their two-day visit to NTT on Monday, spending the night on Rote Island, the southernmost point of Indonesia. 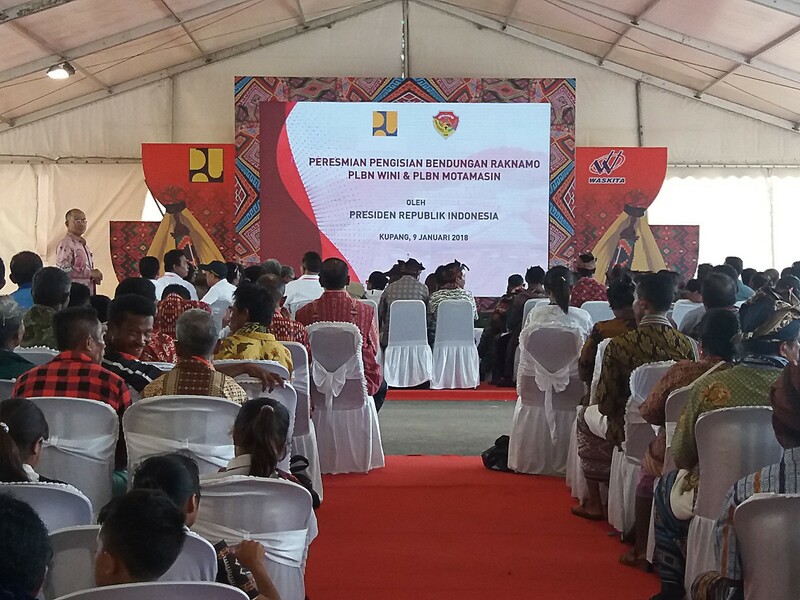 On Tuesday, Jokowi opened a national coordination meeting (Rakornas) of the President Jokowi Volunteer Front (Bara JP) and distributed thousands of Indonesia Smart Cards (KIP) to residents of Rote Ndao regency. Jokowi had distributed KIPs to eligible beneficiaries during an event at state vocational school SMK 3 in Kupang the previous day. He also gave a lecture to students of Kupang Muhammadiyah University.